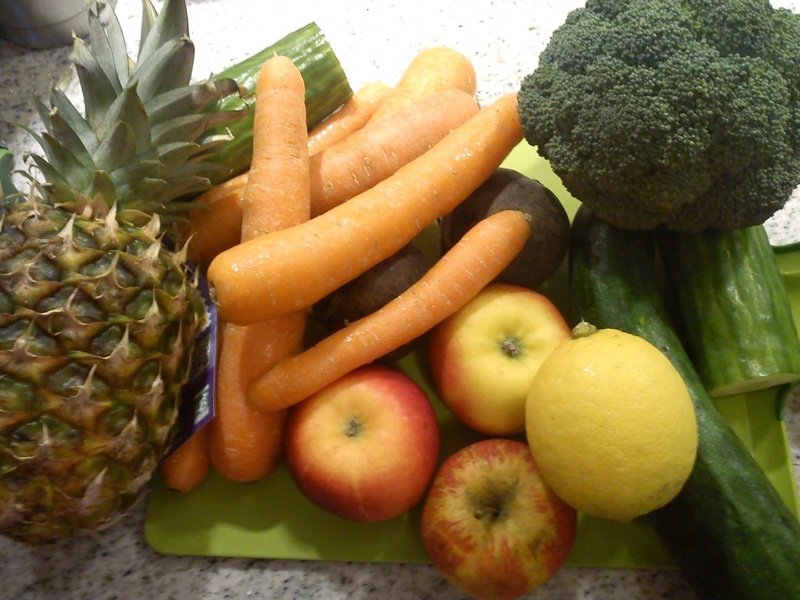 Another way of clearing up in the weekly vegetable box is to make juice. This is basically a fruit juice without vegetable inside. 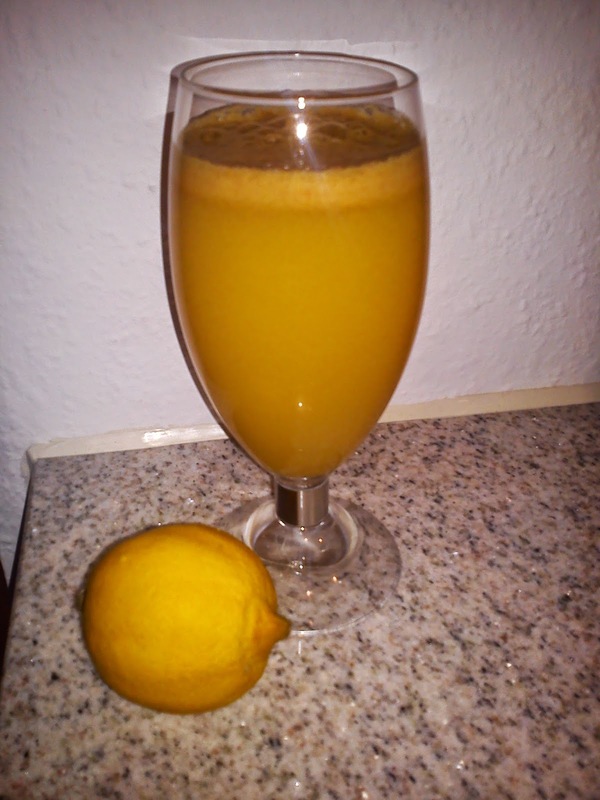 The apples, oranges and pears are bringing all the sweetness into the juice, so I am using the peel of one orange together with lemon incl peel to adjust the taste in a fresh/acidic direction, which I think was managed quiet good in this juice. This juice is fitting perfect into either breakfast or on a brunch table. Juice the lemon in between the oranges. Apparently this bread should be good to served together with butter, plenty of butter ! I have found the recipe in Samvirke, issue December 2014. 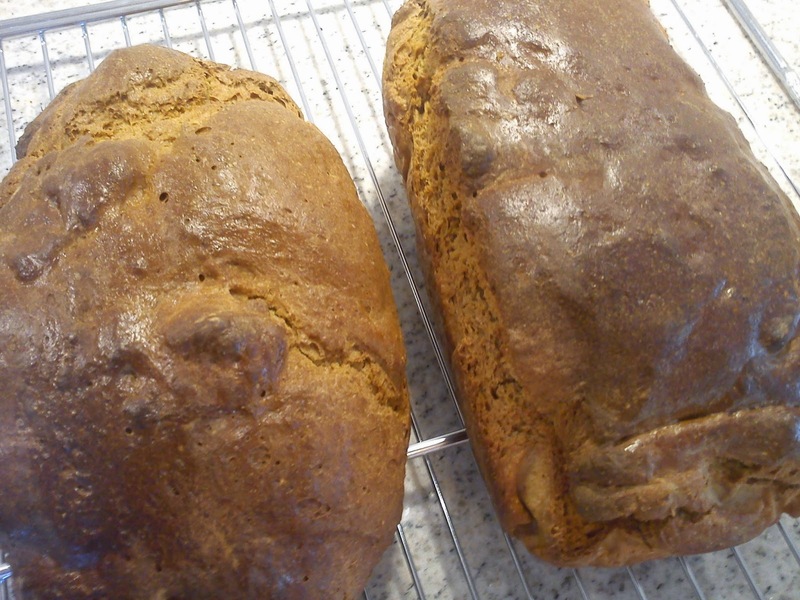 The use of brown sugar and sugar is giving the breads a warn, nice brown colour. For this bread recipe fits perfect served together with pate, sausages and other type of cold meat in connection with lunch or tapas. 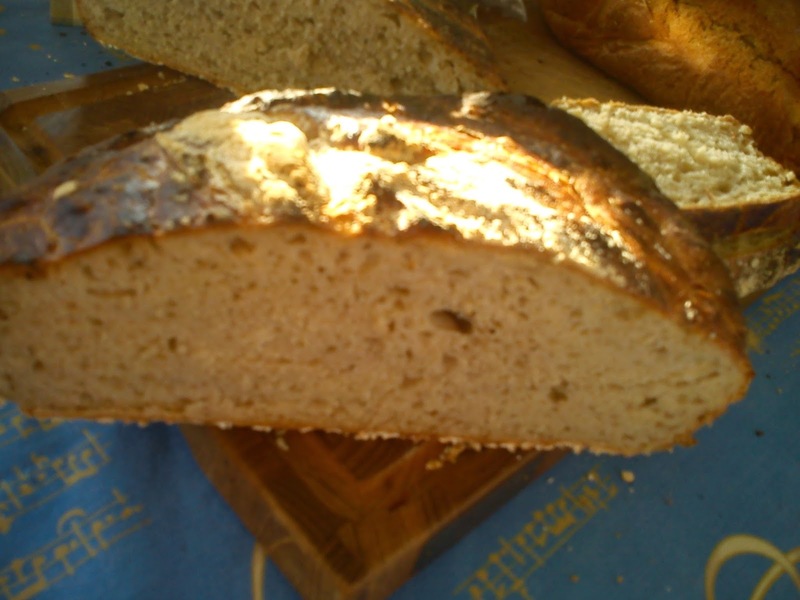 The bread also works as a good alternative for rye bread. It is not the last time, I will be baking this type of bread. 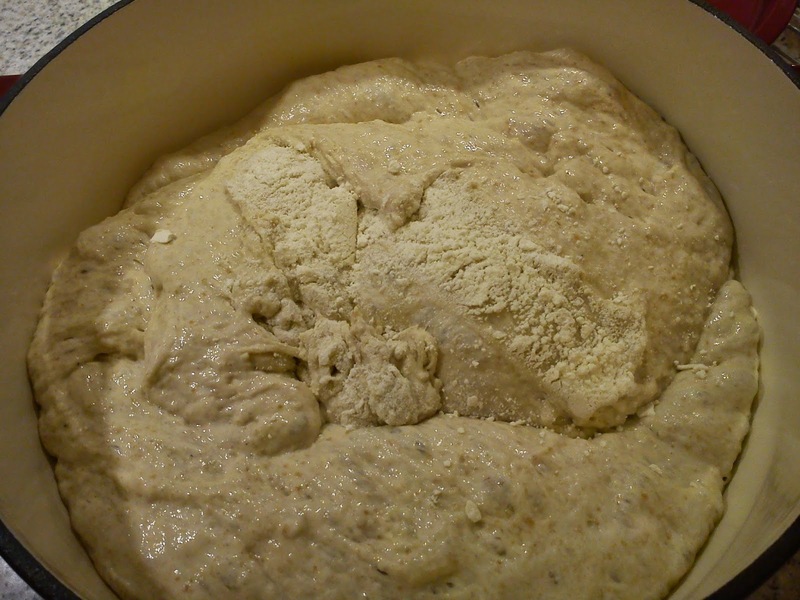 Add yeast and water into medium mixing bowl, and dissolve the yeast. Add in the rye flour, and stir everything well together. Cover the mixing bowl with a lid. Store the rye flour mix cold either night over or up to 24 hours. Smelt the butter in a small cooking pot. Pour the melted butter in mixing bowl on stand alone mixer. Add the brown sugar, soy sauce and salt into the melted butter, and mix well. Add the rye flour mix, purpose flour and wheat flour. Knead the dough on speed 2 for 10 minutes. Place the dough warm, let it raise for 45 minutes. Divide the dough into 2 portions, which each in place in a bread form for further raising for another 45 minutes. Heat up the oven to 190'C (conventional oven). Bake the breads in the middle of the oven at 190'C for 55 minutes. Take out the bread, and glaze the surface with milk. Bake the bread for another 5 minutes at 190'C. Cool down the bread on a rack. My juicer and I become better and better acquainted with each as times goes by :-) And I am slowly trying to create my own juice combination. 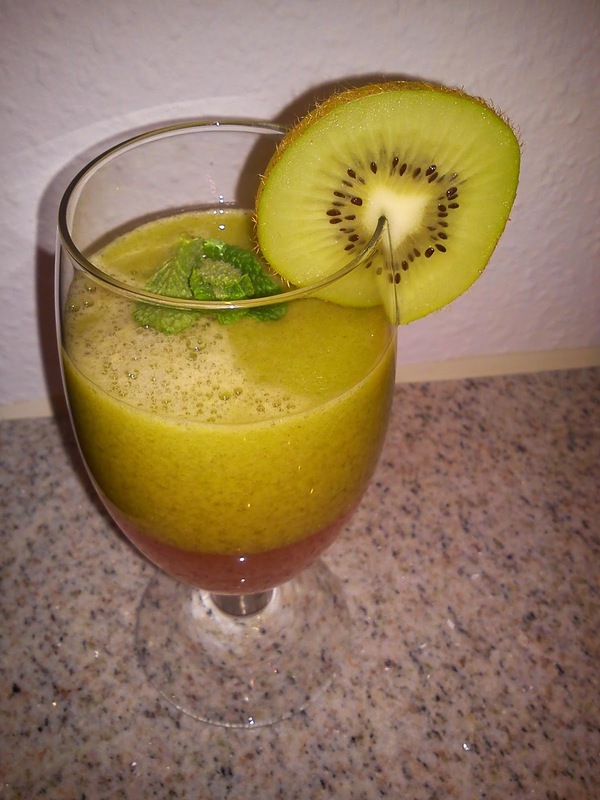 A colleague of mine mentioned he really like the combination of apple, kiwi and mint, so I decided to create my own version of these three ingredients. At the same time I am participating in the monthly blog event Tea Time Treat packed lunch as the theme of January. 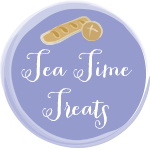 Tea Time Treats is managed by Karen from Lavender and Lovage and Jane from The Hedge Combers. Juice everything together. 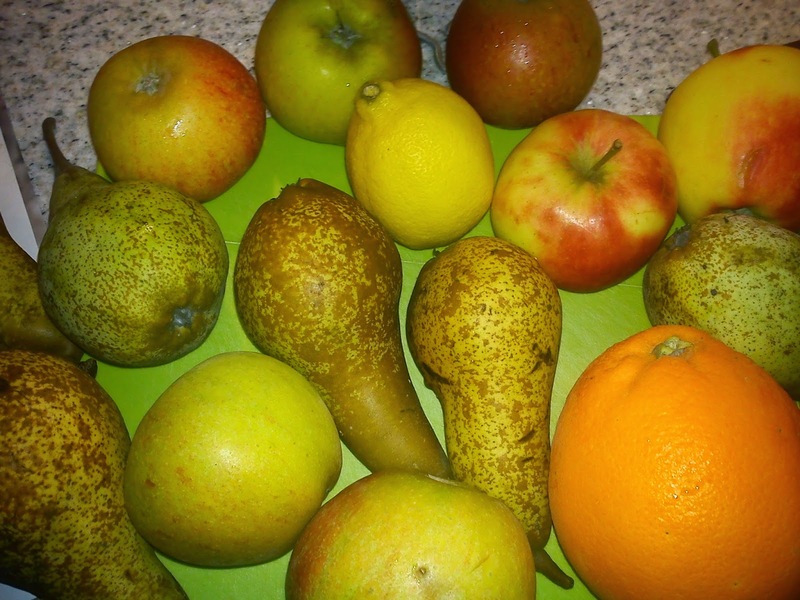 Use the mint leaves in between the apples or kiwis. Another amazing mile stone is being passed with this very specific blog post, as this very blog post is post number 1.000 being published on this blog !!!!!!! But somehow I have been writting 1.000 blog posts !!!! Somehow I had imaging, that after more than 4 years I should have been able to bake the entire 73 recipes in "Hjemmebagt". Assume at some stage I will have done it ! From time to time I need to do some clearing in my weekly vegetable box. And one way of "getting ride off" some vegetable, before the next weekly vegetable box arrives on my door step, is to use some of these left-over vegetables in a pasta sauce, freshly squeezed juice or in this case in a lasagne. 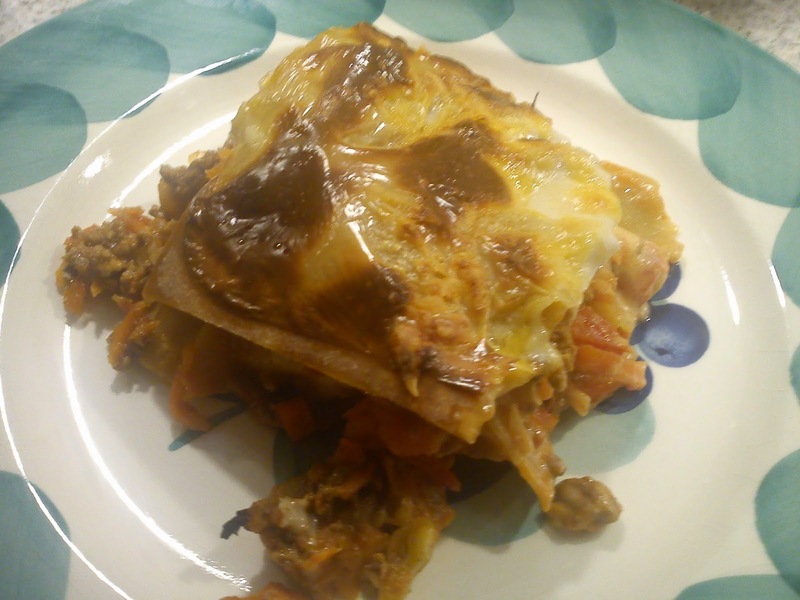 I used this recipe on lasagne from Karoline Køkken (book number 5) as starting point for my lasagne with plenty of vegetable. Fry the onion, garlic and meat in hot oil in a cooking pot. Wait until meat has changed colour, before addition of the vegetables. Together with the addition of the vegetable add in the canned tomato and tomato concentrate. Season with pepper and salt. Gently cook the meat sauce under lid for 15 minutes, when remove the lid and cook the sauce for another 10 minutes. Start by pour some Mornay sauce into the bottom of ovenproof dish, followed by 5 lasagne plates. Next layer is the meat sauce, sprinkled with some grated Cheedar cheese and some Mornay sauce. Next another 5 plates of lasagne plates topped with the last of the meat sauce sprinkled with grated Cheedar cheese. Finally finish off with the last 5 lasagne plates, and the last of the Mornay sauce nd finally sprinkled with some Cheddar cheese. Place the ovenproof dish in the middle of the oven. Bake the lasagne at 200'C for 30 minutes in the fan oven. 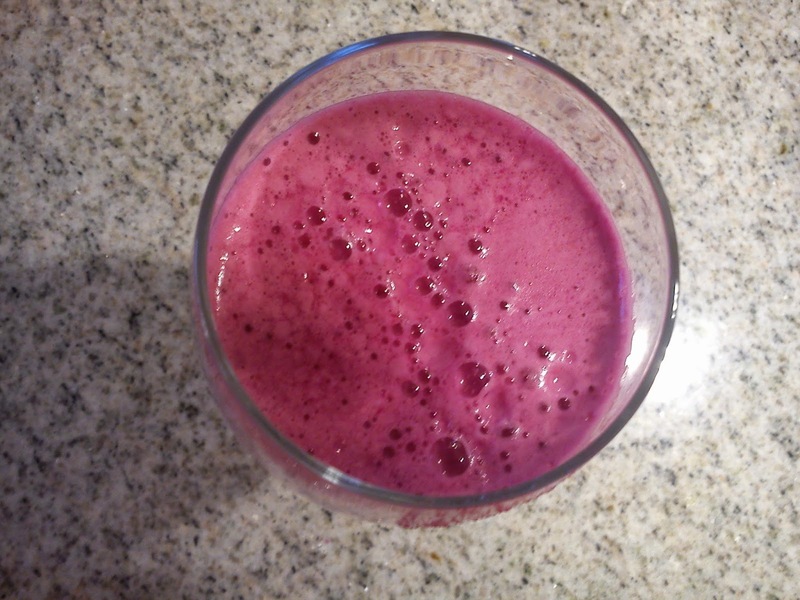 After my success using red cabbage in PURPLE POWER, I was really looking forward to test out some white cabbage in this juice calles SPICY KALE. I did drink the juice, but I am not fan of the bitterness coming from the white cabbage, and it was difficult for me to understand, why the word spicy was a part of this juice name ?? Well, not a success and neither a faileur, but not worth a repetition ! 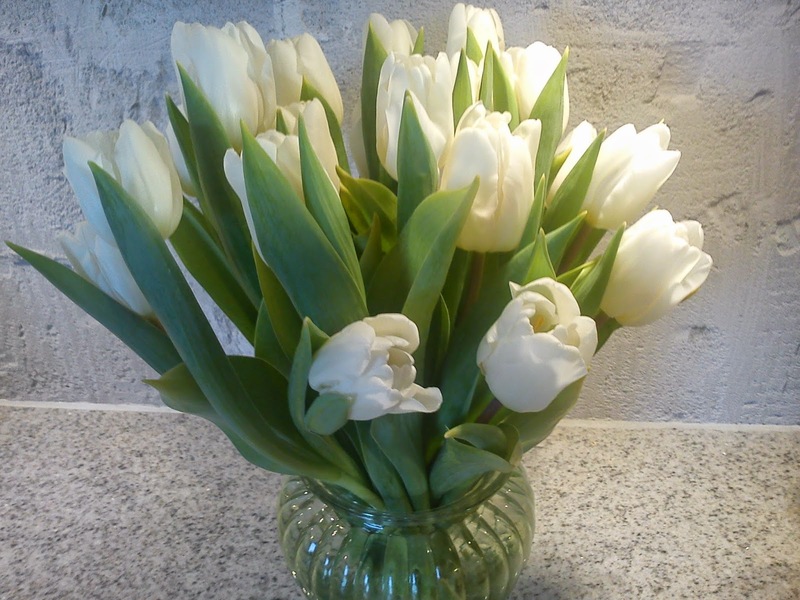 Pour into a glass and enjoy :-) as you think healthy thoughts ! I am within a tea drinking period, where I am drinking plenty of Christmas tea even though, the Christmas is almost gone from one month. 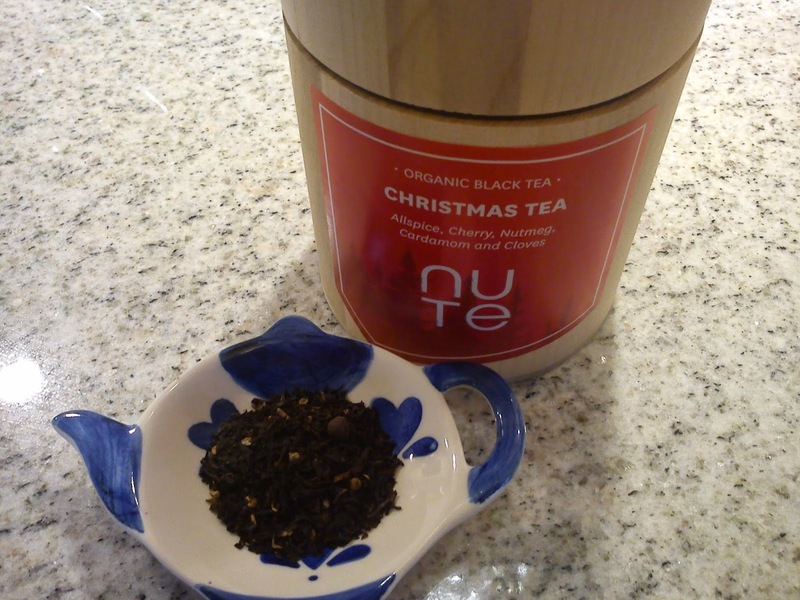 The Nute Chistmas tea is made from organic black Assam tea with organic spices (8% allspice, 5% cardamon seeds, 4% cloves buds, 1% nutmeg and finally flavoured by cherry and vanilla. I really like both the look and smell of this tea with all it´s spices. However, I was expecting more actually flavour in the brewed tea, neither can I detected any cherry flavour, which I am disappointed about. It was very fascinating to make this juice called PINK PASSION, and see how 50 g of red beet (1 tiny little red beet) completely took over the entire colour of this juice !!! Another amazing thing about this juice is, that despite all it´s many vegetable the overall taste sensation is actually quiet sweet. As I wanted to use up the broccoli, I decided to increase from 1/4 to ½ broccoli, when I made this use. 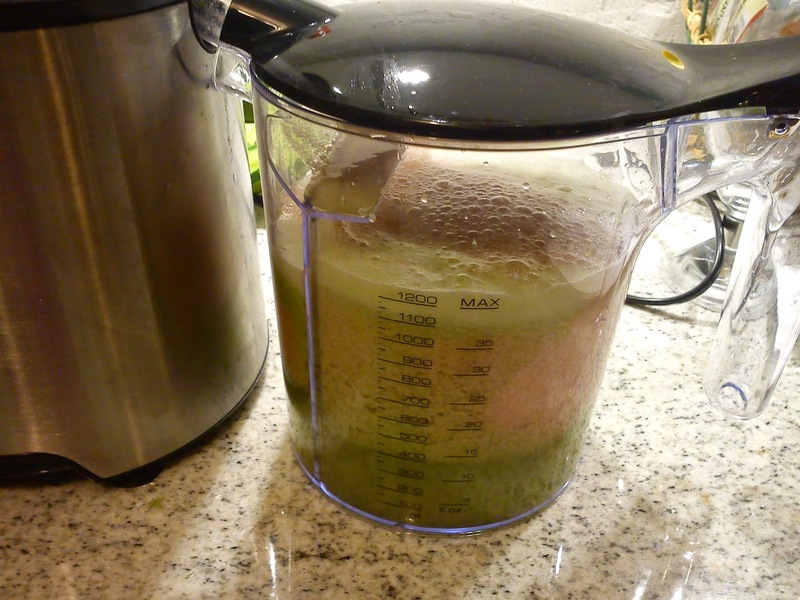 I normally make a bigger portion of the juice, and when I store the remaining juice cold in the refrigerator for 1-1½ days. All the many part of the juicer fills quiet a lot in the dish washer, so this is why I normally makes a bigger portion. Juice the lemon in between the apple. My juicer and I continues our journey together through the wonderful world of fruit and vegetable, even when the vegetable within the juice box is NOT one of my favourite vegetable such as fennel !!!! 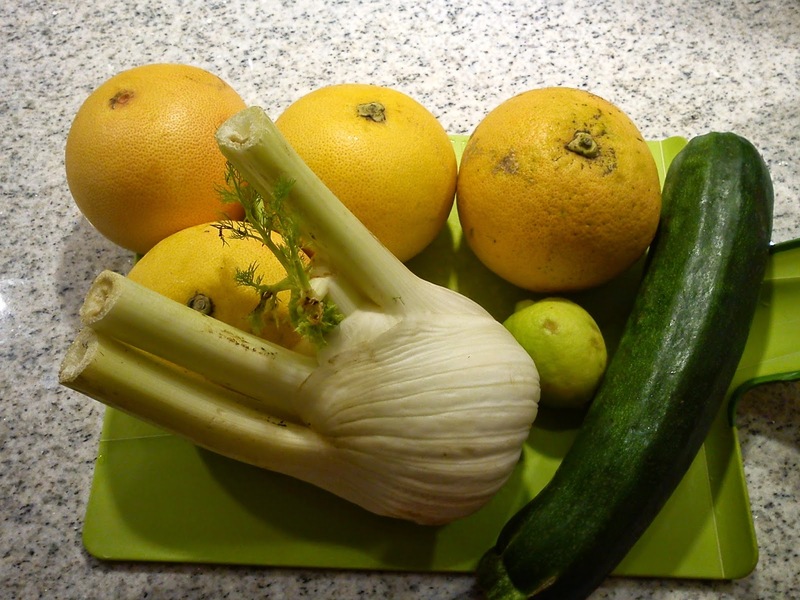 I did find some pleasure in "killing off" the fennel by putting it through the juice. 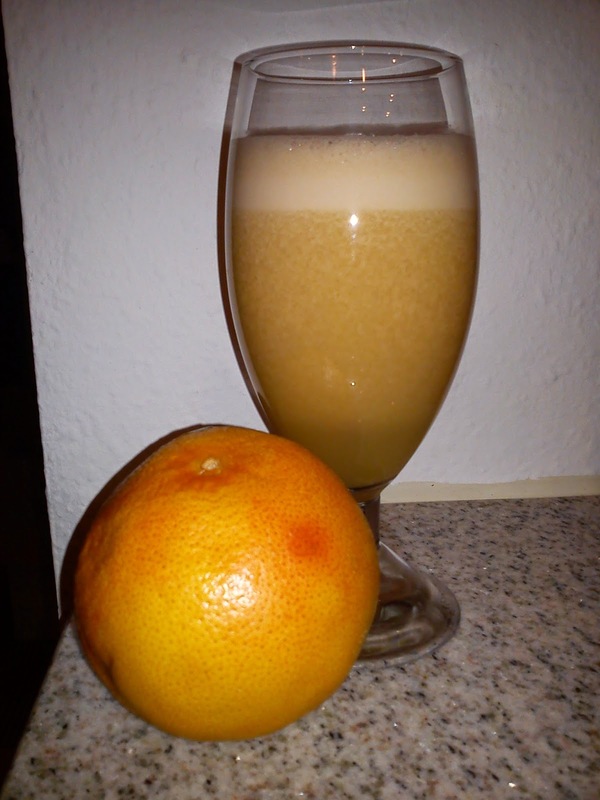 The taste of the juice is for sure living up to it´s name of FRESH´N BITTER, where the grapefruit is dominating with both fresh/acidic and bitter taste. The taste of fennel is also a part of the flavour profile without dominating it. The big question is, would I make this juice again myself ??? No, as I find the taste to be too bitter. I also find it very fascinating to see the type of mosaic, which the various fruit and vegetable creates, as their juice runs into the juice collector. Juice the lime in between the grapefruits. 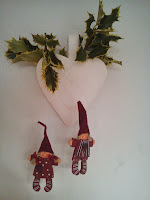 Christmas tea can be sommething of challenge to navigate within. Sometimes the flavour profile is perfect, and you can continue to drink this Christmas tea into January/February Other times your taste buds becomes overwhelmed by the flavour of the Christmas tea, so you either give the tea away or throw it out to get ride off it. And other times again you can find out, why the tea is a Christmas tea, as there is no Christmas profile about it. For me a Christmas tea should have a spicy profile with various addition of other element than tea leafs. And I do not like it, when one flavour dominates the entire tea. 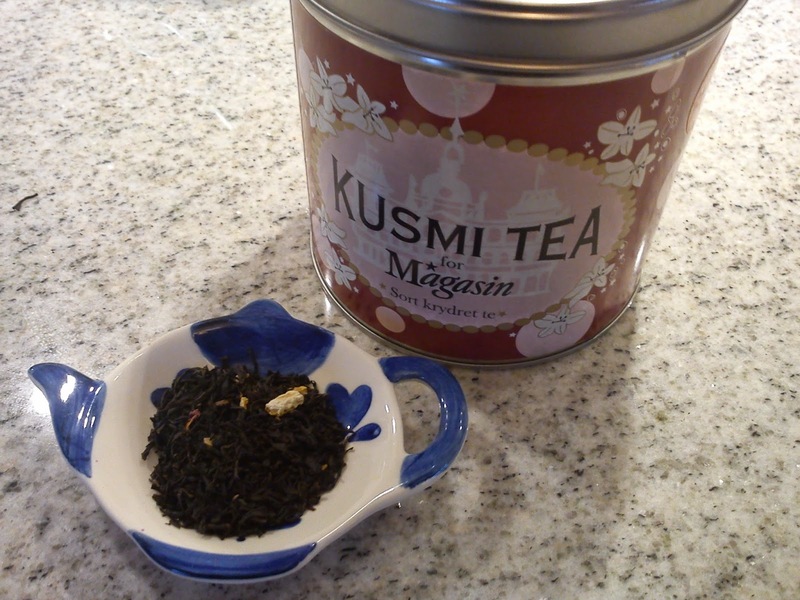 The Kusmi Christmas tea produced exclusive for Magasin du Nord is one of my favourite Christmas tea, as both look and taste appeals to me. The tea is made from black Chinese tea with flavour addition of orange, almonds, spices and rose petals. 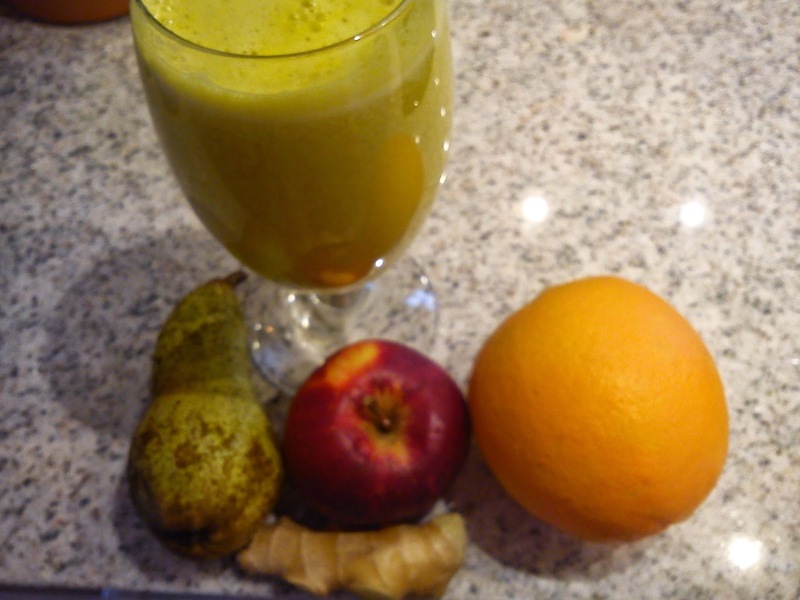 Let´s start of the day with a glass on freshly squeezed juice, using my new very best friend - the juicer. 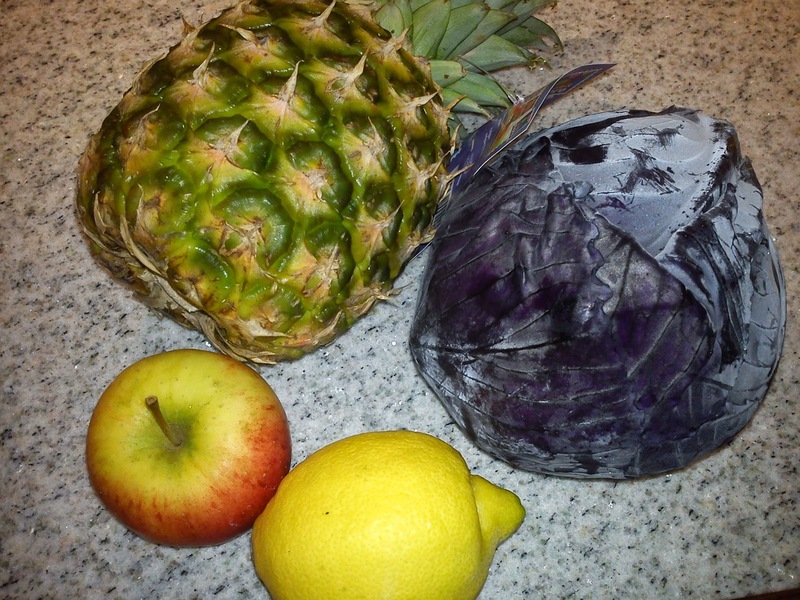 This time the colour supplying ingredient is red cabbage. I must admit, that I did not any high expectation about using red cabbage after my limited success using palm cabbage. 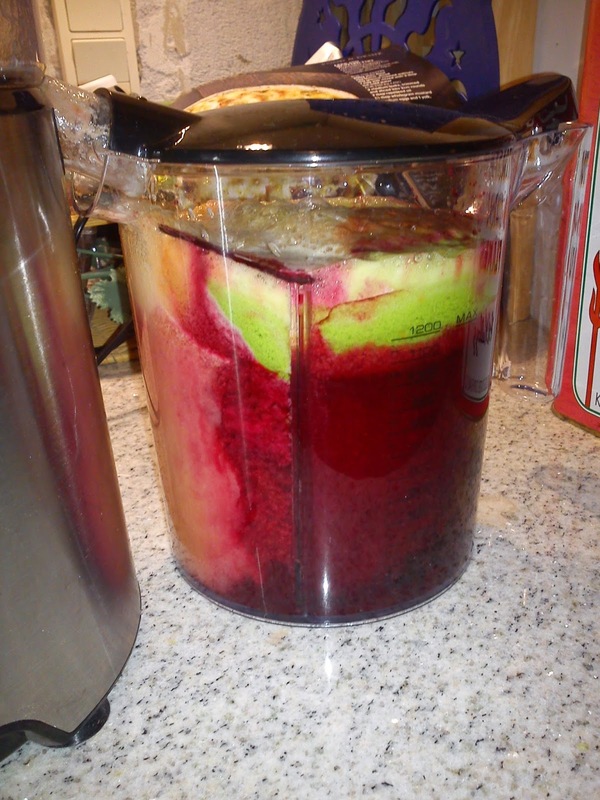 However, I must admit, that red cabbage was a positive surprice in this juice. The name of this juice is PURPLE POWER, which is a very fitting name. 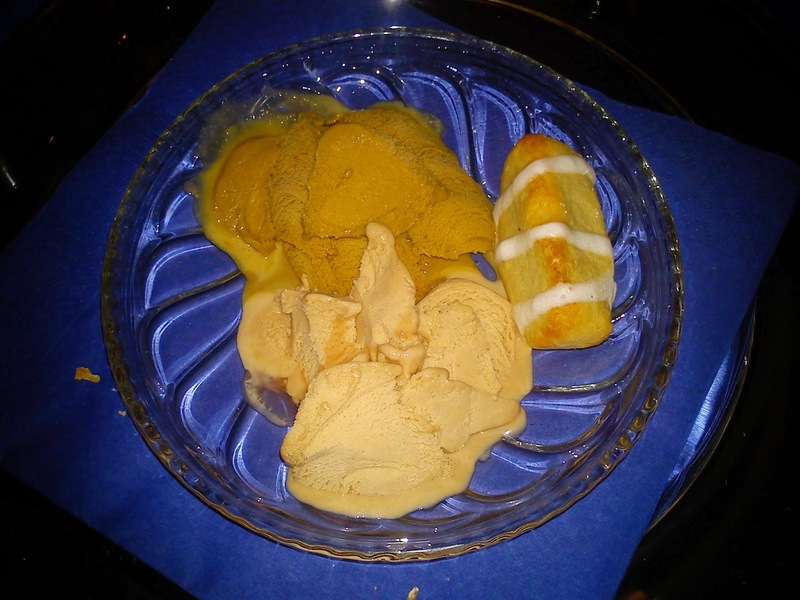 You should really consider to make your own liquorice ice cream, if you often are disappointed, when buying ice cream with liquorice ice, where the taste of liquorice many times to light. Making your liquorice ice cream means, that you can control the level of liquorice added into the ice cream. With a total of 5 tablespoons of liquorice powder, this ice cream has plenty of liquorice taste, so if you worry about your blood pressure, you should reduce the amount of added liquorice powder. 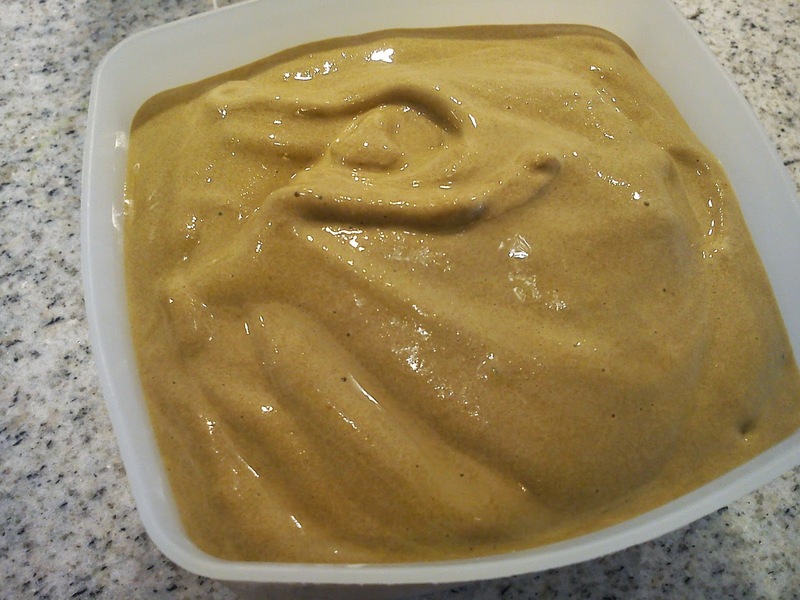 I have previously been sharing a recipe on home-made liquorice ice cream with you. If you are not Danish or Scandinavian, DO NOT make this ice cream, as the taste will scare the hell out of you !!! Hopefully I can get started again on my ambition regarding making ice cream on much more regular basic, perhaps monthly ice cream production is too ambitious, but making ice cream every second month would also be OK in my opinion. 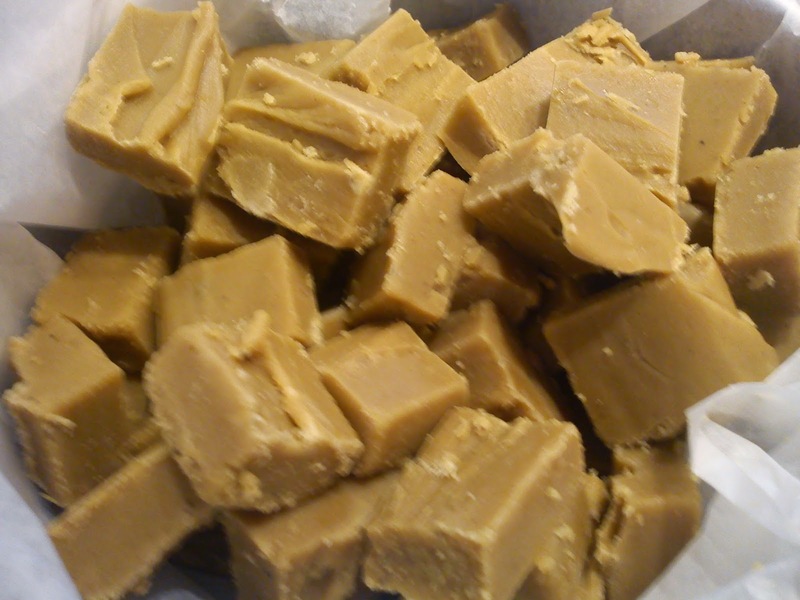 After I have found out how to make great tasting caramels, I have wanted to expand my candy creation skills, so when I saw this recipe on hjemmelavet lakrids fudge a la "Maden i mit liv", I decided to have a go on this fudge. Mix the condensed milk, sugar, butter and milk together in a large saucepan. Boil up this mass, while you stir regular. Cook the mass up to 115'C. 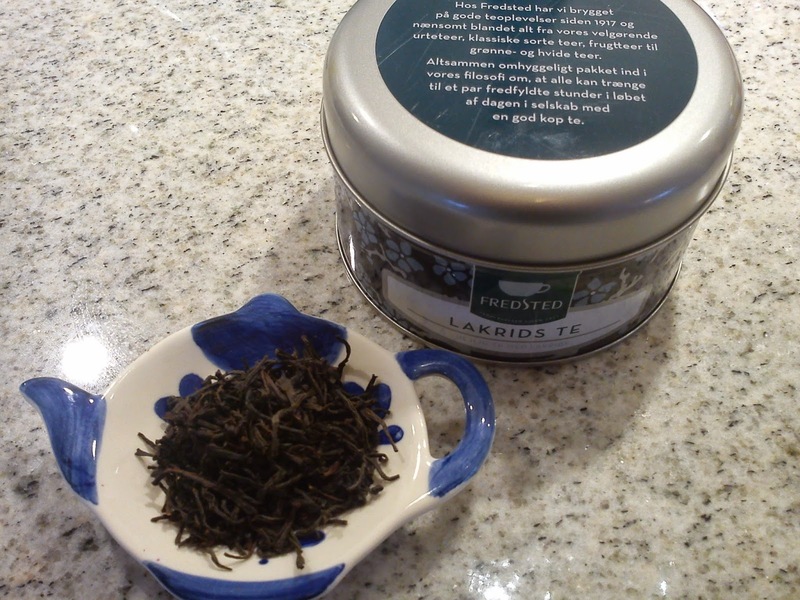 I have got this liquorice tea from Fredsted by my cousin in connection with PINK afternoon tea 2014. Now there was room among the daily teas, so I have taken this tea into rotation. My cousin knows my attraction towards liquorice, so this liquorice tea from Fredsted is very fitting to me. The Fredsted liquorice tea is made from black tea with addition of 1.5% liquorice flavour. The flavour profile is for sure liquorice, however, the liquorice taste is not over the top in any way. The taste is good, but I would buy another type of liquorice flavour tea myself, as I am expecting much more liquorice flavour from a liquorice tea. The size of the tea leafs is actually having a quiet big size. For the annual Christmas lunch for The Wonderful Women, where we enjoyed a cheese tapas I decided to bake the bread myself. As one of the bread I choose Best Bread of the World (Verdens bedste brød. This bread became very popular 2 years ago out here in blog land, but I first around baking it now. Good thing takes it´s time ! 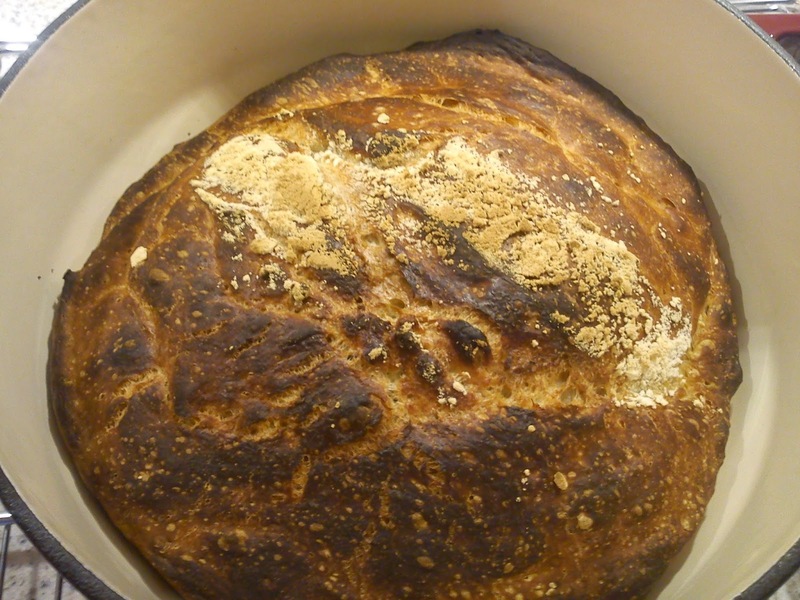 I also need to get hold of a cast iron cooking pot with a stain less steal knob to bake this bread in. If your present cast iron cooking pot has a phenolic knob, this knob can not withstand the very high temperature during baking. So now I have Le Creuset cast iron cooking (with phenolic knob) for plain cooking and a Pyrex cast iron cooking pot wih stain less knob for bread baking. This bread both tastes and looks fantastic. And it looks like a bread brought at an Italian baker. So this bread is really a show-off, which is so very, very easy to bake. Actaully you are not even kneading the dough at all. Stir yeast and water together in a big mixing bowl. Add salt, honey and flour and stir with a cooking spoon. For the annual Christmas lunch for "The Wonderful Women"´we also need a sparkling cocktail to start of with. Either serving a glass of "plain" sparkling wine or a cocktail is for me an excellent way of saying welcome to my guests. So when I saw this recipe on Pomegranate Aperitif in the monthly magazine "Samvirke", issue December 2014, I knew at once, that this should be welcoming cocktail for my lovely girl friends due to the use of sparkling wine and pomegranate, which really is in season now. And on top the pomegranate juice is having such an excellent red colour, which was fitting perfect into the Christmas season ! You will need 1 big pomegranate in order to make 4 of these drinks, as it is a combination of both pomegranate juice and pomegranate kernels. 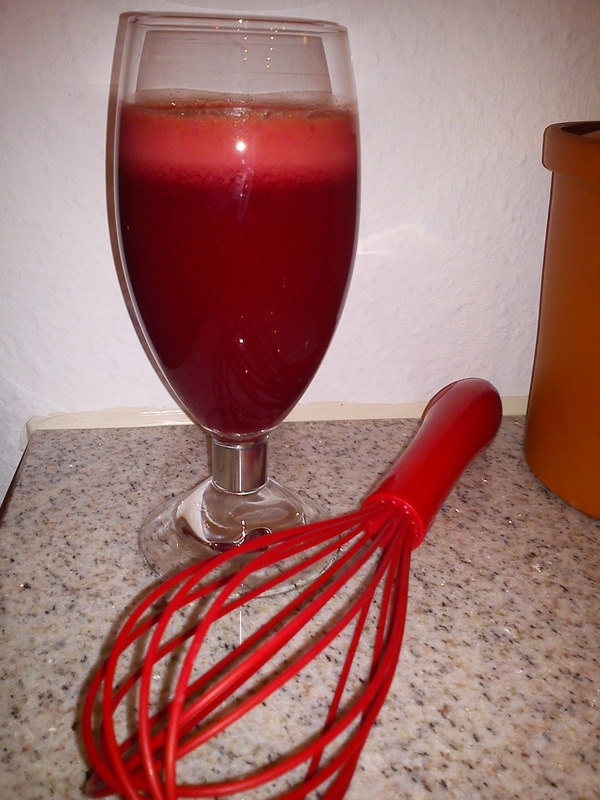 I started off by taking 8 tablespoons pomegranate, which were needed for decoration, before I used my new best friend the juicer to make freshly pressed pomegranate juice. The pomegranate juice can be replaced by cranberry juice. 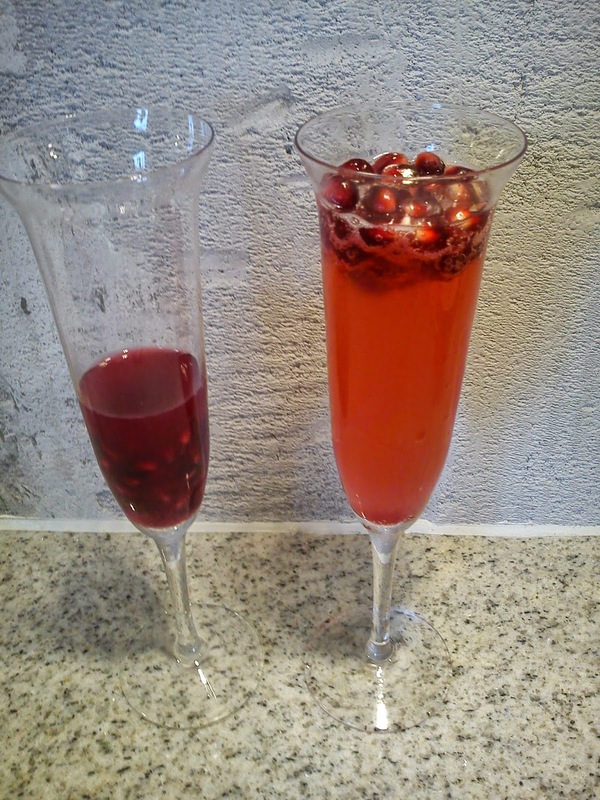 Pour pomegranate juice, gin and pomegranate kernel into a champagne glass. Fill the remaining of the glass up with sparkling wine. to all of you from Hannibal the Cat and I. We hope you will get an exciting, promising and healthy New Year here in 2015 with plenty of sunshine, some white snow to bring some light into a dark Winter season and less wind during the rowing season !!! 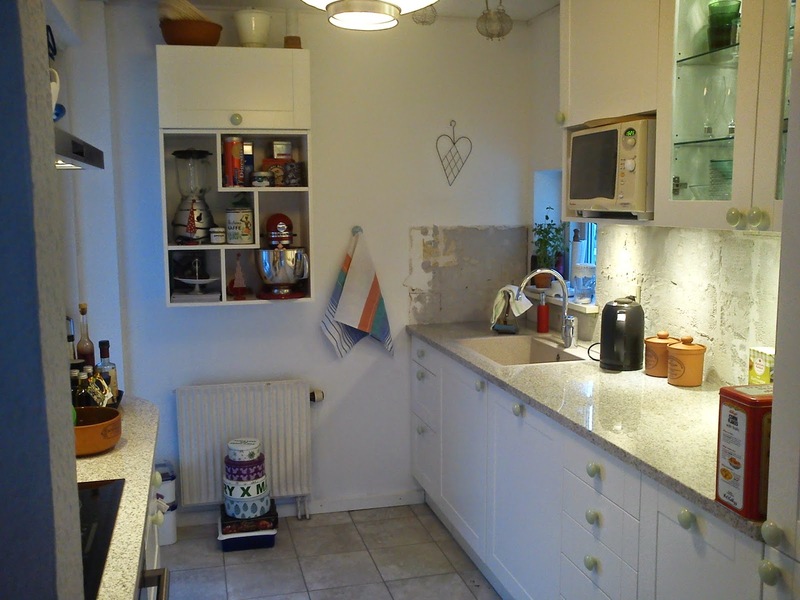 The biggest thing for me and my little kitchen here in 2014 has for sure been the replacement of the old HTH kitchen with a brand new Svane kitchen incl. new tiles on the floor and new white goods. From the end of October to mid November I had to live out any kitchen at all. However, it has been one of my best decisions ever to invest money in a new kitchen as I spend so much of my free time here. With the amount of light available make it an inviting place to be even during the dark evening of Winter time, as I can actually see, what I am doing. The tiles for the wall still needs to be finished, so they can be put up. This will be done here in first part of 2015. I have also got a new best kitchen friend the Juicer as company Christmas present, which I am really looking forward to make any excellent tasting juice from fruit and vegetable in the coming future. 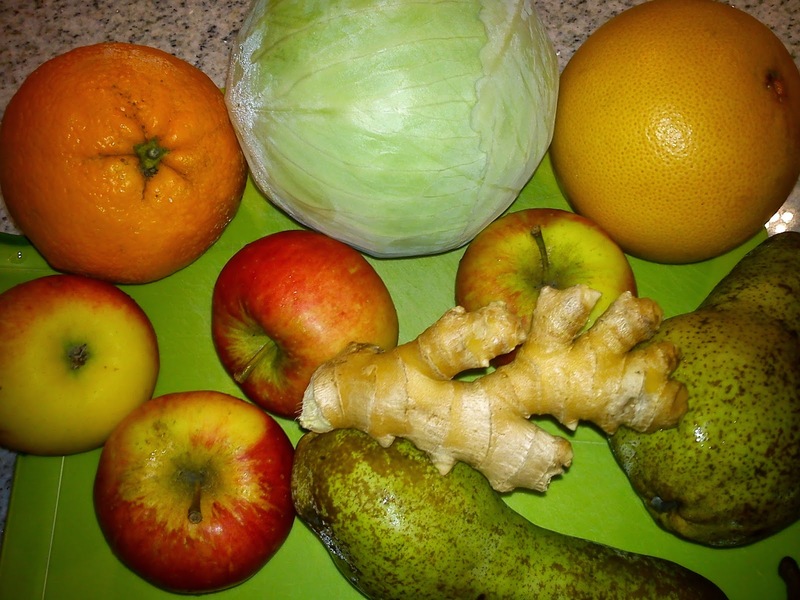 In order to get me started, I have signed up for JuiceSelvKasse as a frequent weekly box from Årstiderne. Well my way of baking through the entire bread book called "Hjemmebagt" has been moving slower during 2014, where I managed to bake a total of 2 recipes. If I maintain this baking speed during 2015, I will be finished baking in around 20 years time, around the time, when I will be retiring from work !!!! Could be that 2015 will bring more baking momentum. 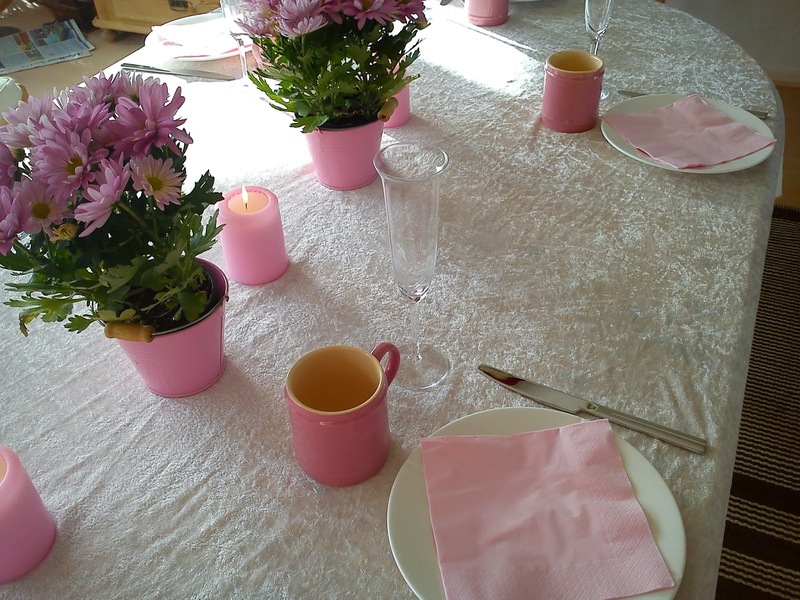 Again 2014 was a year, where I used my baking capabilities for some fund raising activities involving both work colleagues and friends turning the month of October into PINK month (PINK afternoon tea 2014) collecting an amazing 797 DKK to support the fight against breast cancer. 2015 will be bringing similar activities in the Autumn month of October. As usual I am still participating in the monthly virtual tea table called Tea Time Treats hosted by two food bloggers in the UK. It is great fun for me to work the various theme selected for these monthly tea tables. 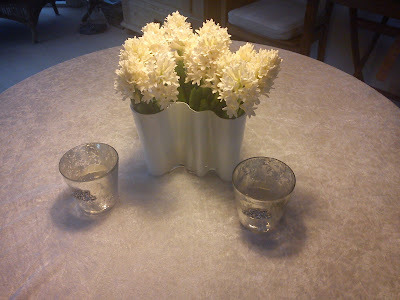 And I will continue to participate in these monthly virtual tea tables here in 2015, as it bringing me a lot of inspiration to both me and my little kitchen. As usual the month of December has been a very, very busy month for me in my kitchen, as I am working on selecting interesting Christmas recipes as well as actually making the Christmas stuff, so I can share an daily blog post with a Christmas recipe with you in the count down for Christmas !!! For me this process is a little bit like mood therapy, a way of keeping up my mood during a long, dark, gray and rainy Winter season, as it keep me busy inside of hiding under my duvet like a little sleepy brown bear !!! So therefore I will already now promise, that you will get Christmas Calender again in 2014 :-) Traditionally I invited various friends living in the area of Vejle for a gløgg evening, so they can taste some of my Christmas creations. 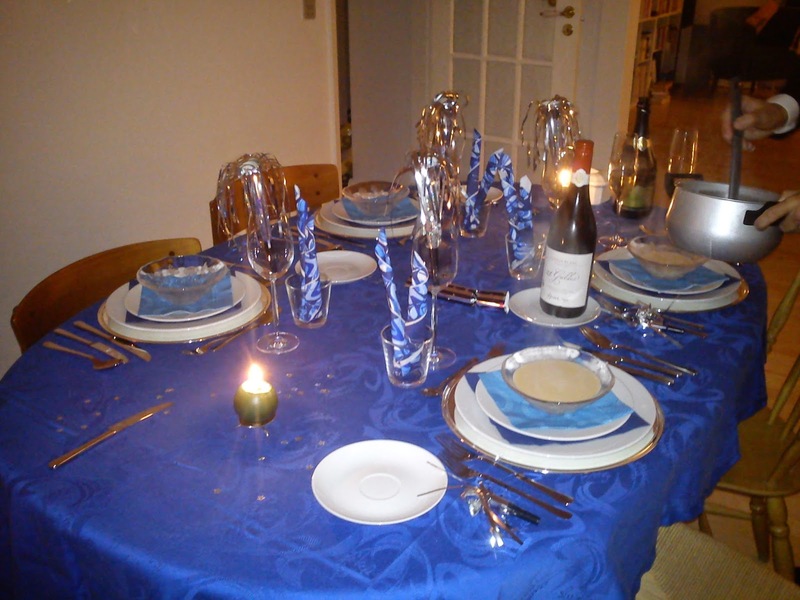 Moving from 2014 into 2015 was done in the good company of my good friends living in Horsens, while we enjoyed a 4 course "take - away" New Year´s menu from Le Gateau. 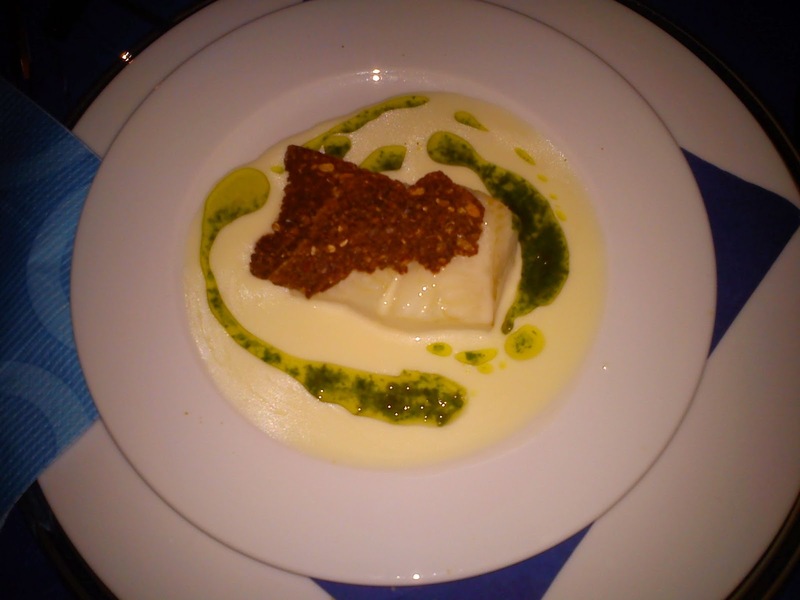 The food was very, very easy to prepare, and were delivered with preparation instruction. The first starter was named "Hummer & Herbs" and took the shape of light creamy lobster bisque with herb / black truffle pesto with freshly baked baguette. 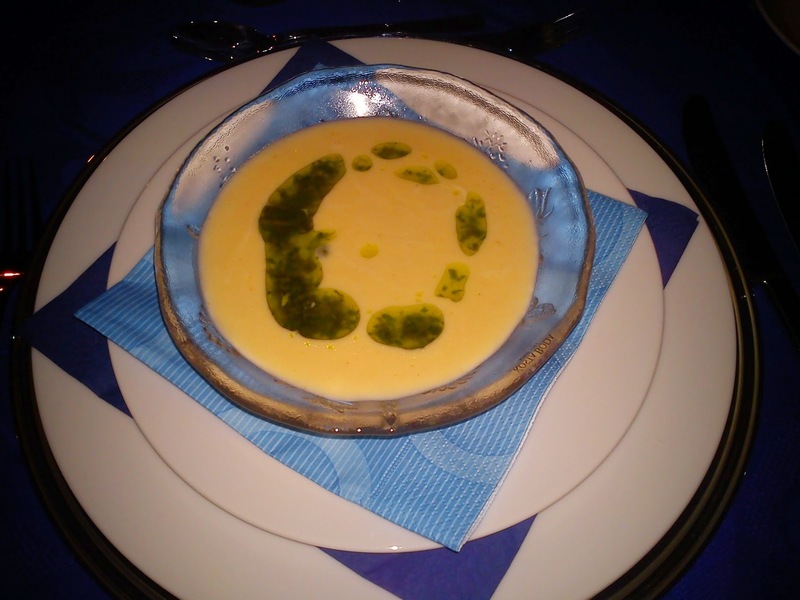 The lobster bisque was very creamy with a great taste. watercress pesto and some crispy rye bread chips. The sauce was so excellent, so we used the baguette left-over to soak every single drop of this sauce. 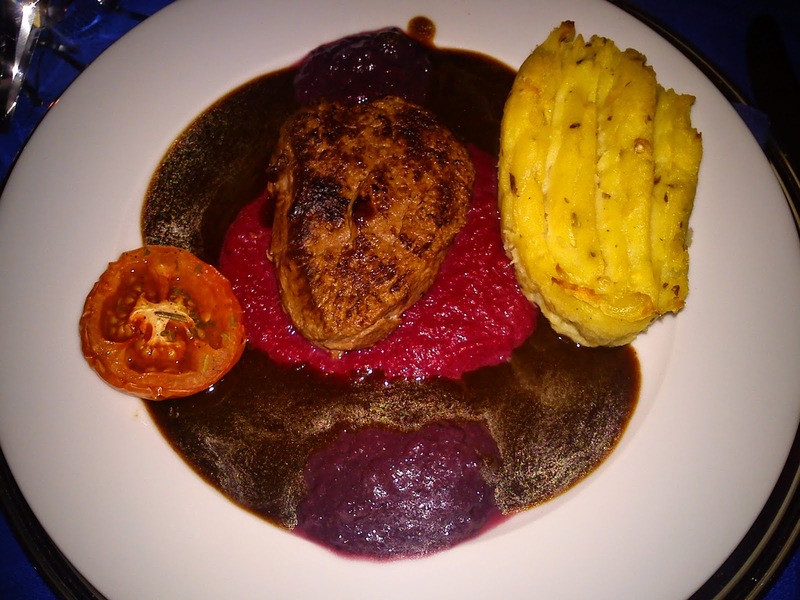 toasted hazelnut / potato duchesse and strong red wine sauce. The combination of beetroot and raspberry worked perfect, as the fresh of the raspberry covered any earth taste, which many times is the case, when eating beetroot. As we did not have any room left for ice cream, when we some of us meet up for traditional Christmas lunch, we decided to have two desserts as well during the last meal of 2014. The first dessert was therefore nougat ice cream, liquorice ice cream and freshly baked liquorice marzipan cake (kransekage). The second dessert was called "Dessert Plate". And it was actually too much cake being a part of 4 course menu ! The first cake was forest fruit mousse with soft caramel core and a crispy base. The second cake was a chocolate praline cake with Grand Cru chocolate ganache and crunchy chocolate with dried forest berries. 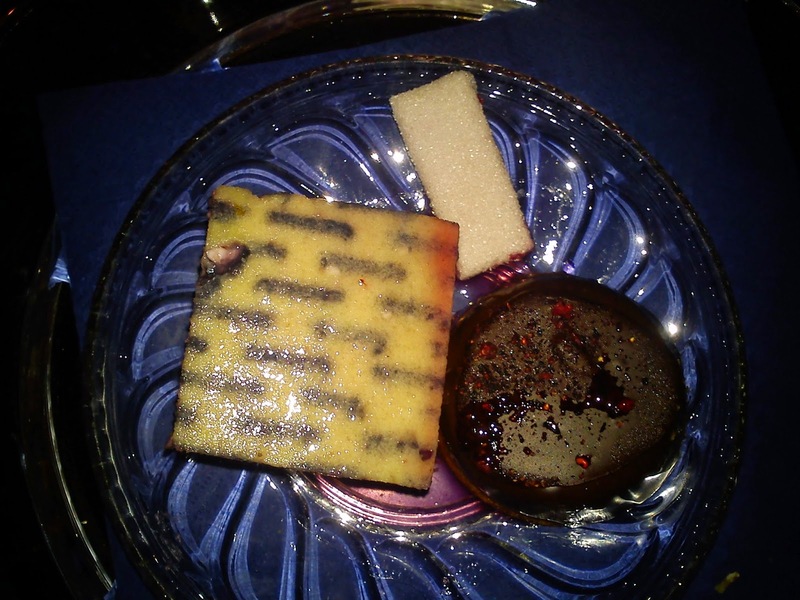 And the final little thing was home-made raspberry marshmallow, The two cakes were served upon forest fruit syrup. For the two starters and main course the amount of food were perfect adjusted. However, the dessert plate was too big and over-whelming. Here just one cake would have been OK in food amount. The final part of the New Year´s menu was a piece of marzipan cake, which we actually did not managed to eat, as we were all very full after this last meal. So I still have my piece of marzipan cake, which I will enjoy later today. In total I ended to with paying approx 53 € for the entire great tasting menu incl the almond cake for the actual transition from 2013 to 2014 excl. wine. I will give this New Year menu 5 stars.